X-bit labs, world renown IT website, has posted a very detailed review of EK Water Block’s latest EK-KIT H3O 360 HFX water cooling kit in which it’s thermal performance has been described as an "…absolute and undeniable total victory!" 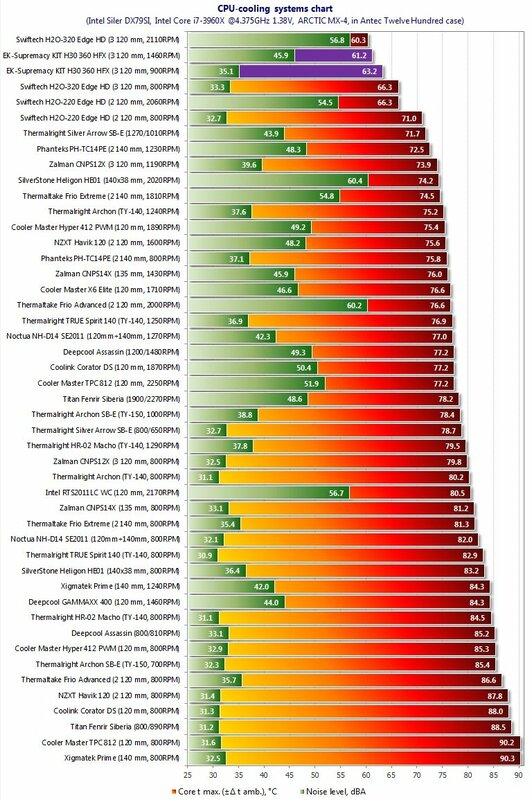 Besides the top of the charts cooling performance this product has also been thoroughly tested acoustically-wise: "EK-Supremacy KIT H3O HFX has not only completely defeated Phanteks PH-TC14PE in cooling efficiency, but has also left it far behind in noise tests. This liquid-cooling system can be considered acoustically comfortable at up to 950 RPM speed of its fans, and quiet at up to 750 RPM. We have already said that EK-Supremacy KIT H3O HFX is exceptionally efficient at 600 RPM fan speed, which is barely audible at all." 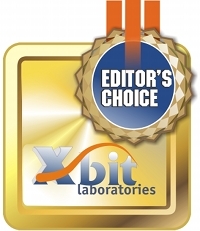 Sergey Lepilov of X-bit labs sums the review with the following words: "Reviewers usually try to remain reserved and objective and prefer not to express any emotions or personal preferences towards the reviewed products. However, we are going to make an exception with the EK-Supremacy KIT H3O HFX system. It is a remarkable, excellent liquid-cooling product with the highest possible efficiency and very low level of noise! Once we checked out this system, familiarized ourselves with all its components and ran all the tests, we not just liked it, but fell in love with it in a way that only a true overclocker will understand."